Been trying to shoot more lately and had a free afternoon a couple days ago so ran out of the house a bit before sunset. Generally these days I carry 2 bags, one camera and one drone. Never know what I want to do so best to have options. I had been eyeing the field near my house (again) and set off on the short drive. Flying around the light was pretty great. As it was fairly cloudy, the sun would pop in and out creating some awesome dappled scenes. 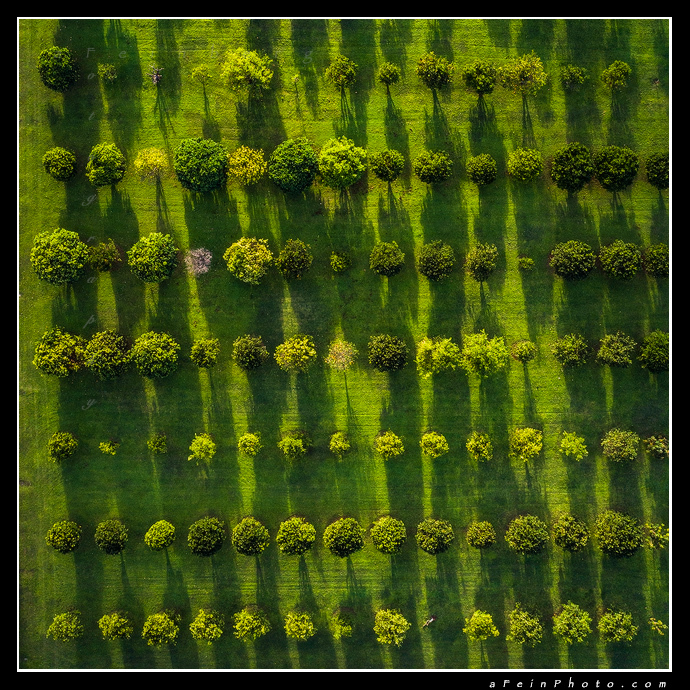 As I captured my field shot (to be shared at a different time) I decided to fly around and see what else was there when the pattern of the orchard caught my attention. I tried a few different compositions, all playing with the patterns, but this particular exposure caught me. This frame was in between the sun coming from shadow to sun so the across the scene was soft and unique. The original shot is vertical but also added a square crop as well. Which one do you prefer?? All in all a fun afternoon and more to share later. Thanks! 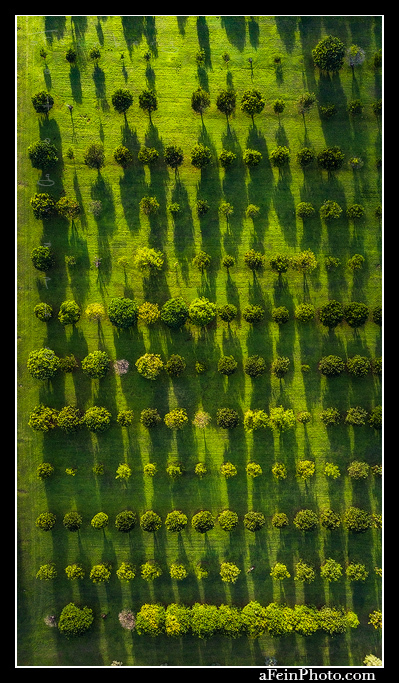 Posted in Image Discussion and tagged aerial, drone, hawaii, kauai on February 9, 2018 by Aaron Feinberg. Aaron Feinberg on Dunes in…CA? !